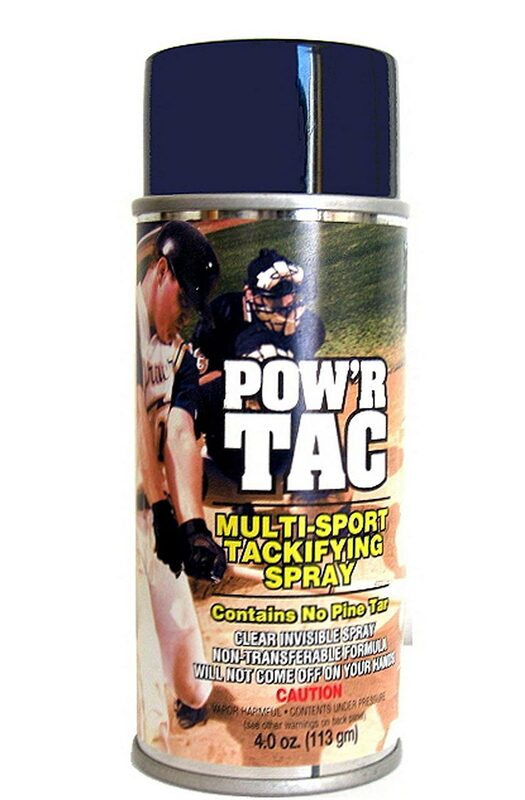 Pow’r Tac is the spray-on tackifier that will give you an awesome grip. 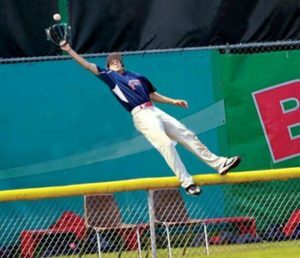 It won’t stick to your hands because it won’t come off your bat handle or batting glove. 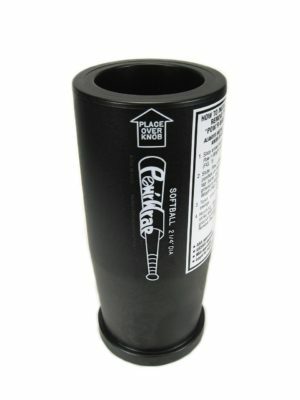 Clean, invisible, easy to apply, long lasting tackifier will improve whatever game you play that requires a great grip! 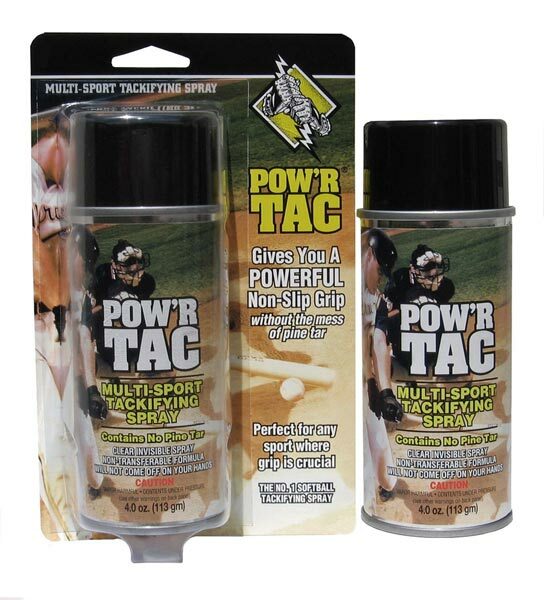 Pow’r Tac spray-on tackifier, the ultimate grip and glove tackifier for baseball, softball, and other sports where a great grip is vital. 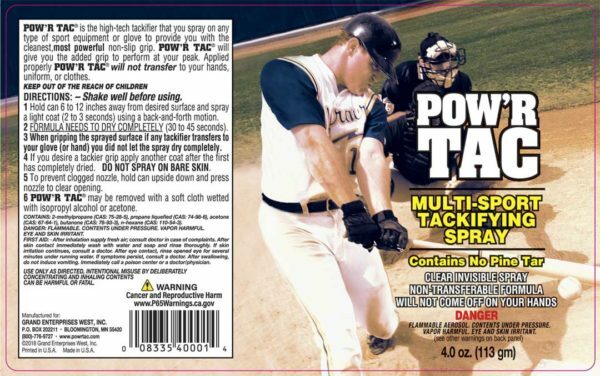 Simply spray Pow’r Tac onto bat handles, batting gloves, tennis racquet and racquetball handles, hockey sticks, etc. 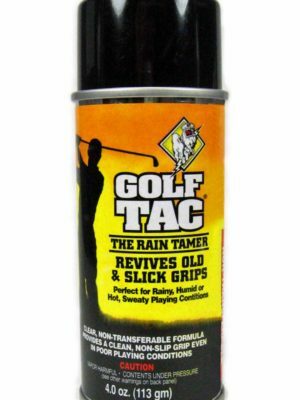 for a superior tackified grip. Pow’r Tac is non-tranferable so it stays on the sprayed surface–won’t migrate to hands or uniform. 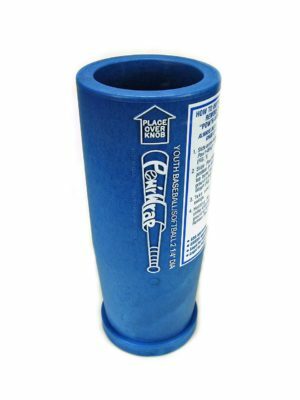 Contains NO pine tar, so there is no brown pine tar mess on your hands or uniform. Long lasting formula remains tacky for days. Fine tune the amount of tacky feel you want by spraying on successive thin coats. Pleasant vanilla scent. Spray, grip and rip!